The reason I brought that up, is to remind Shawn, if he wants to do some travel sets, that it's really nice to keep the sizes matched well. Oh, so we did not veer off course after all! And good point, nothing like a mismatch to make what could be a fave set into one that sits on shelf nevertobeused. Exactly. Those little details are key to the difference between something that is such a pleasure to use, and something that is quite disappointing. I appreciate all the comments, both here and privately I'll post some more pictures tomorrow. 1-2 cups gets my vote. Used a 4" bowl yesterday for matcha. 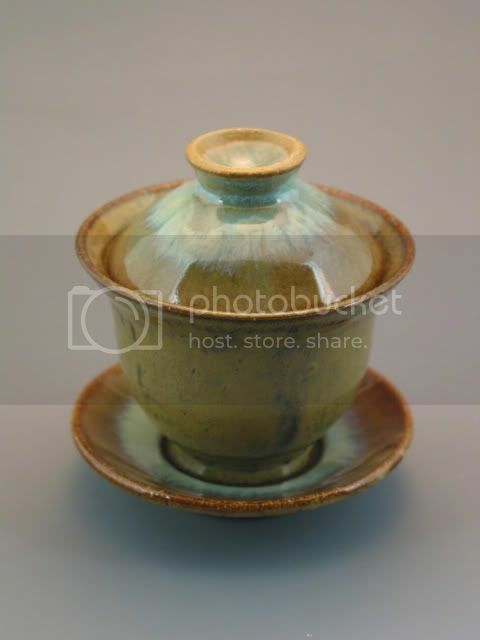 I prepared it first in a Korean "yuzamashi" since it is a bit small for preparing matcha. 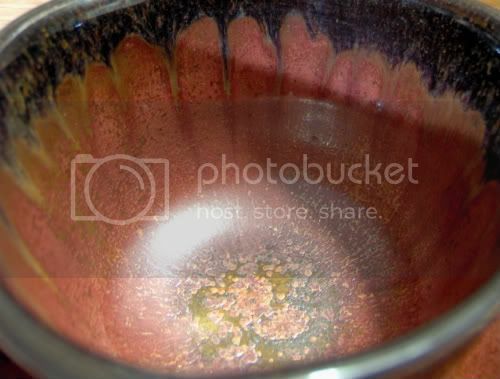 Then poured into the bowl. It was fantastic. Very dramatic. Unfortunately the lighting was horrid. I will attempt to redo it tomorrow. 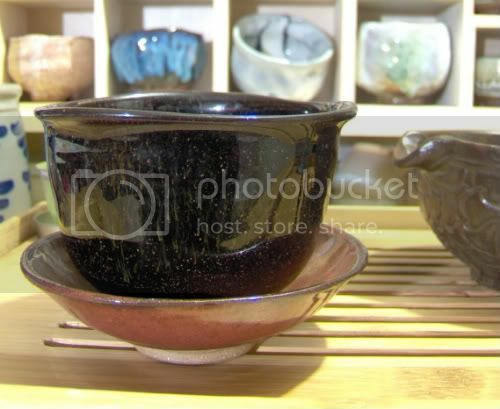 Here's my new Chawan by Shawn. It's wonderful! 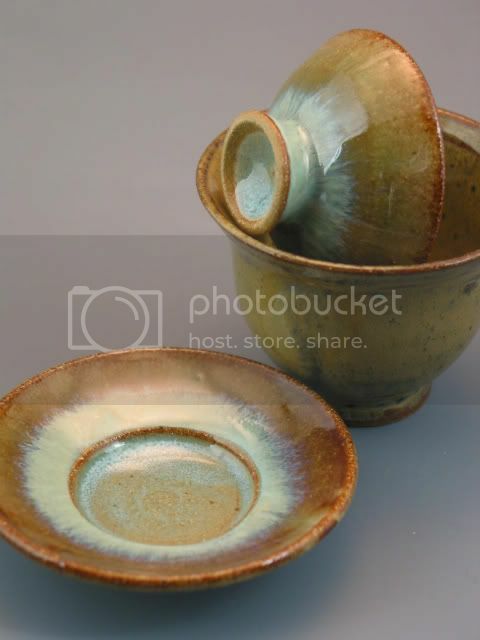 the glaze is really wonderful and I love the shape of it. It fits well in the hand. Thank you Shawn! Broke out this wood fired guinomi for sencha this AM. There is a depth to the glaze that is hard to capture. And also broke out this Ippuku-wan. This piece is incredibly light for its size and has a "ring" to it like a brass bell when tapped. One of the sextuplets, like IPT's. Matcha today. The size is of an Ippuku-wan, so a tad small for whisking matcha, so I used a yuzamashi that I typically use for ippuku-wan-s when preparing matcha. This angle shows shooting stars while all the other sides are full of stationary stars, very pretty! The inside is a burning sun, perhaps, really cool ... er, hot! Regardless, it gives you an impression of heat. Matcha photos under MatChaWan topic as I follow IPT around the forum. ohhh ... the saucer that comes with the Ippuku-wan is stunning, wouldn't you say? 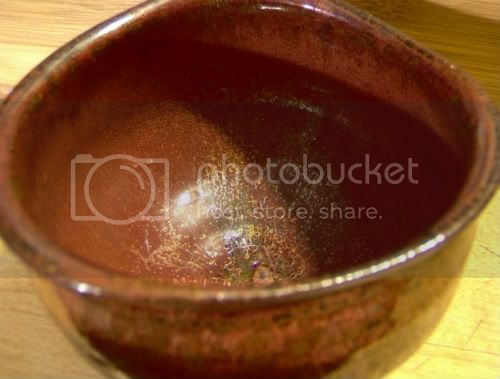 Chip wrote: ohhh ... the saucer that comes with the Ippuku-wan is stunning, wouldn't you say? PS I've been steep'n up some Da Hong Pao from out own IPT's shop in one of the seconds. 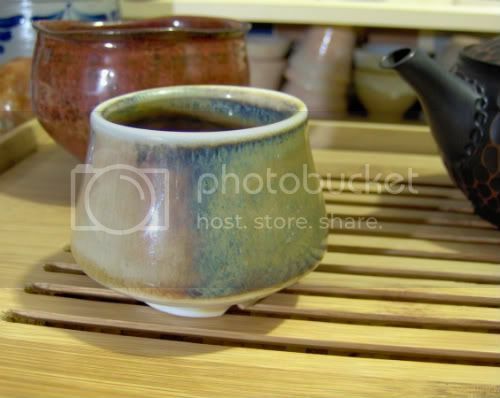 It seems to taste a lot better and different brewed in my stoneware rather then the a commercially made gaiwan. What is that? Is it a heat retention thing, does shape of the interior have that much influence, or is it just my imagination? 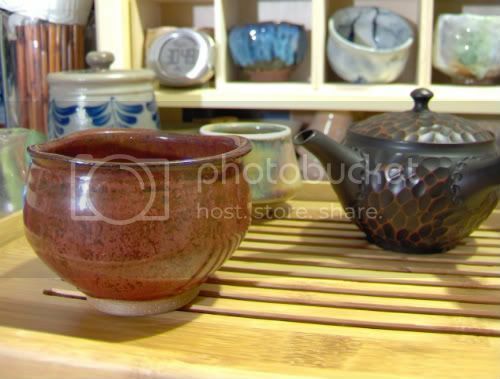 That's a beautiful gaiwan! 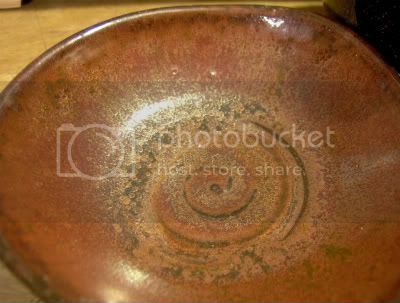 I like the glaze pattern, and the shape seems very nice and useable too.